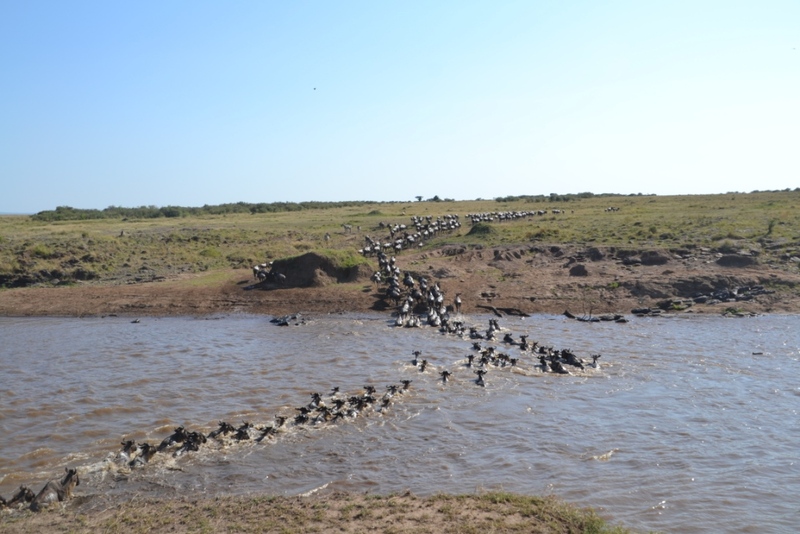 Masai Mara is rich in wildlife and biodiversity. Our 2 Nights 3 Days Masai Mara Safari give you the opportunity of spectacular sightings like the wildebeest migration from Serengeti to Masai Mara. Day 2- Masai Mara Early morning and late afternoon game drives in search of the BIG 5; Lion, Buffalo, Elephant, Rhino, and Leopard and several other animals including Impalas, Gazelles, Wildebeests, Hyenas, Topis, Zebras, Giraffes and hundreds of bird species. The annual Wildebeests Migration from Serengeti to Masai Mara also takes place here between July and October when millions of Wildebeests and Zebras closely trailed by the Big Cats cross the Mara River and roam the reserve’s vast plains in search of greener pastures. Rest of the time at leisure in your lodge. All meals and overnight stay at your lodge / tented camp. Meals: Breakfast, Lunch, Dinner. Day 3- Depart Breakfast at 0630 hrs. Check out by 0730 hrs and drive back to Nairobi where you arrive for OPTIONAL lunch which will be served at a restaurant. You will then be transferred to the Jomo Kenyatta International Airport for your onward evening flight. Meals: Breakfast. End of the 2 Nights 3 Days Masai Mara Safari.